"Good tech but still room for improvements." The appointed account manager was active and always attentive. The website dashboard is all good, and it just works. I liked the fact that we at some point had two account managers working with us to sort out some issues! The product description on the website could be a bit better explained. I sometimes found myself clicking through the various products in order to find what I was looking for. The analytics part is a bit hidden, why not put it front and center on the dashboard. When we had a small emergency, and sent a release with a wrong headline, our account manager was attentive, but accidentally sent the same/wrong release out again, which was of course very frustrating. That's why not more points. Before submitting your release, double-check every single word. Once it's been released, there is basically no turning back! Reaching publishing houses in Vietnam and Asia. We ultimately achieved our goal, and got two noteworthy articles in the Vietnamese press. The interface is much better than PRNewswire. It's really simple and easy to use, the newsroom is great and the individual releases look good. Additionally, the multimedia options make the release look like it's on a real news site. I know they have a lot of different types of distribution pricing option and it's not really clear the benefits of using the different types of distribution options. I typically just choose the $100 option and it seems to get us on all the syndicate sites. I've used two other systems and seen more and Newswire certainly has the most straightforward process. I have never used their news writing service but will consider it. The releases look really nice in the newsroom, it feels robust and professional and the release landing pages look much more modern than other services. We wanted a relatively inexpensive, yet professional way to distribute our releases. I like being able to link directly to the Newswire-hosted release. What I love is that the platform is really simple to use and to add multiple elements to a release, which I like. The newsroom makes us look much more professional than other services. "Newswire.com is a great company and very easy to use"
I have been using Newswire.com for several years now and they are a pleasure to work with. Our releases get published with wide distribution. They are very customer oriented and always assist if I need help. They always provide solutions and if there's anything from with my releases, they provide the suggested wording to handle it or give other suggestions to ensure it will be approved through the review process. There's nothing I dislike. The only thing I would change is that they make their posted releases social media friendly so that the images properly display on Facebook and Twitter. Right now, they show up small. Newswire.com is very easy to use and very solution oriented. If you want a no-hassle services for getting your press releases distributed, they are the ones to use. We are able to get our content out to the media quickly and easily. Very easy to follow instructions so that your release gets correctly submitted and distributed. The results come quick and our release was picked up by over 150 websites. This saved us a ton of time and got us in front of a lot of news outlets that we didn't even know existed. I got everything I had hoped for. No dislikes. Small organizations like our simply do not have the time to seek out hundreds of news organizations in order to submit press releases. If you are wanting your press release to get picked up by dozens if not hundreds of news websites, this is the site to use. Saves our organization a lot of time. It eliminates the research we would have to do to find all of the correct contact info on news organizations. "Great experience, saw immediate results!" Great customer service, got us setup immediately and made sure our plan fitted our needs perfectly! The review process is great and the experience is tailored every time! We had an issue with our press release which was flagged to have a financial impact with a public company while it was written in a way to not have such impact. Unfortunately, Newswire was unable to negotiate with their suppliers to remove said flag and we could not the news release distributed the way we expected. Wit that said, Newswire really went above and beyond in trying to get the resolution we were hoping for. Go for it, it's a great company to work with and they will take the time to understand your needs! We managed to reach the exact markets we were targeting and saw immediate response from the industry. New sales leads came from the releases within hours of publication. "Our Strategic Partner for Swift, Efficient PR Distribution"
Easy to use, reliable, trustworthy and genuinely effective. Our news used to go into sites with dubious location, traffic and trust levels. Aligning our agency with Newswire makes our clients happy because they see the results: we can give them sound analytics, they can see exactly where their press releases landed, and more importantly, Newswire lets us send out our releases to real journalists and publications. We've had 2-3 news pickups in the past 3 years, and even got an apology from a journalist who wasn't able to cover one of our news! Now, that's a big hit: journalists rarely, if ever, even get back to us. Newswire, however, has given us a traceable ROI in performance and analytics. We haven't had any downsides yet after 4 years of using the service both as standalone PR submissions or when we've bought into the packages. I think the pricing for individual PRs with all the bells and whistles is a little high, but the ROI is there. It's a great DIY PR tool that lets you do outreach to media reps and generate demand for our clients' work through a reputable bridge: Newswire. It gives our work more credibility by aligning with an established PR brand. We needed a cost-effective but real solution to distribute our news, and our clients' news. Many PR engines are fluff- press releases go into obscure websites whose traffic no one really knows, and news die. Newswire allows us to curate a list of journalists and publications that might have an interest in carrying our news, giving us a chance to do outreach to them and selling the news. Our press releases have had 23% more traffic and generated more attention since we switched to Newswire after lackluster experiences with 2 other providers. We're sticking to Newswire as our agency's go-to PR distribution engine. "Great for national businesses not targeted enough for local businesses"
Newswire is extremely easy to use. I like that I can plan out posts well in advance. The software doesn't allow you to pick where your press release gets saved. We are a locally based company it isn't helpful to us to be picked up in Kansas when we are based in Cleveland. We are using Newswire as a way to get our firm recognized for the awards we have won. Our stories are always picked up by well recognized news outlets. "Great Product & Consistent Performance"
I've utilized Newswire to distribute press releases for several years now. The interface is easy to navigate. Payment is easy to set up and process. Loading content for a press release follows a guided format, ensuring you don't miss critical content. I appreciate the ability to add a variety of multi-media files to a press release, and the ability to emphasize a key pull quote. The coverage report that's shared following the distribution of a release is comprehensive and highlights key coverage. The design of the coverage report is very basic. I don't like sharing it with leadership directly because of that. I prefer to pull key points and format it in another document. 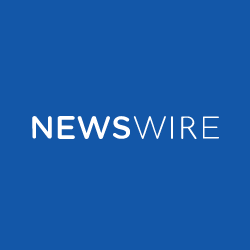 We use Newswire to get the word out broadly about our new products and services and any significant updates we have to share with our industry. I like how easy it is to submit a press release - analytics are also great. I don't like how the title (Newswire) overlaps with so many other firms - it's a little difficult to find this specific PR company. Newswire was the product of choice when deciding between PR firms - if you're looking for a cheap way of submitting a press release with a wide audience, Newswire is your best bet. We have an issue with visibility. Our company isn't well known because it's a startup, so it's great to use Newswire as an easy media outlet. "Great service with ability to increase brand awareness"
I'm not a marketing person, but this offering makes it easy to put together a press release and distribute it through legit channels. This has helped with visibility of my brand and also improved SEO. There is still some ambiguity around what publications will pick you up. A lot of times it can be local news stations, which may work depending on the press release, but if you are shooting for big publications, then this is hit and miss. Note that I'm usually on the lowest plan so I also know chances increase if you are on higher plans. Newswire is helping with brand awareness and organic lead generation. I've seen traffic increase and the residual SEO benefits continue to pay off. "Easy and straightforward Press Release distribution"
Newswire makes it easy and hiccup-free to submit industry news and press releases to the wire. They offer access to tried and true tested avenues and don't actively try to upsell like their competition. There were no downsides to using Newswire, in our case we didn't have excellent traction from our 2nd release through their program, but that is dependent more on content and luck. Newswire is a resource for us to get meaningful milestones or news out the industry that we feel would be relevant, but also generate some buzz and potentially lead flow. Whether it became a direct source of inbound leads, we were able to use the buzz to create some urgency for our existing pipeline. "Great resource for freelance PR consultants "
As a freelance PR consultant it’s important to keep expenses low when it comes to media outreach tools. Newswire has allowed me to provide solid news distribution for clients at a price that works for the budgets I’m working with. The monthly pricing for media database is out of reach, so I’d appreciate a version that’s half the price each month to make it more affordable for freelance workers. Newswire helps me provide distribution options for my freelance clients. System is straightforward, easy to use, and easy to target to the relevant industry and demographics. Haven't had anything significant issues to dislike as of yet. If you are currently utilizing one or more competing solutions, at least give Newswire a chance - it may be exactly what you didn't know you were missing. We have transitioned from using a bevy of different wire platforms for news releases to consistently using Newswire as our go-to platform. "Completely acceptable, but each bell or whistle is priced"
It functioned as needed. I got my release out in a reasonable amount of time and it looked fine. The formatting was helpful, but a bit restrictive. I would rather have had it so that I had choices on the formatting. The a la carte manner of the site made it feel that I was nickled and dimed for every potential addition. I would have preferred a choice of package. I thought that it was tiring that I had to hit multiple screens, I thought that the interface could have been more user friendly. The approval process was a bit tedious. In one of the releases that we sent, it took almost a day to be able to get the release out the door. A simple algorithm that did key word searches could have told you that there was nothing controversial or problematic with my release. It caused a lot of head ache with our boss when it did not go out on the data specified because there was an embargo with several journalists around the content and they put out their stories before the release hit the wires. It was a very bad day indeed. Don't give it to someone who can't work well with IT interfaces. It's not an intuitive site and might be too difficult. Also - be sure to have the time frame built in for the approval. For someone used to having a specific time frame to put out their release, this can be a problem. It was a requirement of our project contract to put out several press releases. The site was a reasonable interface. Aside from checking the box and getting very blunt analytics, we solved very few problems with Newswire. We use Newswire to send out press releases and relevant news-worthy content to a mass variety of channels. I feel that the different levels of access they provide are great and they take the time to explain these different levels. With their insight and walkthrough, I felt like I was really making the best choice for the company both financially and outreach-wise. The benefits are certainly that we have a much wider reach with Newswire. We also really enjoy the capability to use their dashboard for analytics and see our reach. "Simple and Straightforward tool, helped us secure a lot of pickups"
The tool was straightforward and helped us get a lot of pickups across the web while also generating a handful of do-follow links and solid reporting too. I like their Newsroom feature, but you have to have a higher level of paid membership to access it than what my company needed. Would have been great if that was included for everyone. Consider your needs and volume of press releases, but if you do a lot, this would be a good tool. We used Newswire to submit press releases across multiple networks at once. We generated a lot of impressions and links from the release while also saving money compared to other platforms. "Reputable site, lots of options"
Newswire is a great value- they offer a self service portal with a lot of options for reaching various market segments, all at a good price. There are a lot of resources to guide your campaign along too so if you're a novice; it's easy to get on your way quickly. I think it'd be nice to offer a low-cost, professional service to help maximize the use of the provided reports for, ultimately, improving future campaigns. Definitely connect with an account manager to get you started! Raising awareness of brand and product offerings. Publishing with Newswire helps us build a positive reputation with both our business partners and clients. "Multiple Releases - Very Happy"
We are able to niche target for a specific tech client to reach their audience with minimal waste. Not much. It can take a brief time for final approval, but we have been able to get all releases approved in a timely manner. Simple, quick and highly targeted. Reaching into highly targeted publications has been very effective for delivering our message for a breakthrough product for the dental industry. "Great publishing coverage and dependable service"
Compared to other services, my press releases are picked up and published on more platforms. I get more coverage and more backlinks to my website. Great for SEO! It is relatively more expensive, especially when you select industry-specific recipients. We announce new products and regulatory clearances when existing products launch in new countries. We leverage this to gain backlinks to our website which increases our SEO ranking. It's quite easy to upload and edit your releases. They also make it easy to add graphics and links. The distribution is poor. You get what you pay for here. Basic distribution channels are, in my judgement, garbage. The only backlinks we scored were from random Chinese or TV stations. In our most recent release we paid extra for industry-focused dissemination, which added nothing of value. To their credit, however, after I registered concerns they promptly refunded their fees. Look carefully at the distribution network(s), you get what you pay for...maybe. We attempted to use newswire for brand awareness, marketing and customer success. We had initially hoped that what we viewed as a user-friendly and budget-friendly service would be "good enough." Regrettably, it has not been as helpful as we would have hoped and we will not be returning as customers. Great Customer Service. Walked me through the whole process, from uploading to editorial process to submission. There isn't much to dislike about the service. I believe they may not have the biggest distribution network, but they do post our content on some of the larger sites and it does give us search exposure. Always look to distribute your press releases locally. This will get our word out to on the internet but may not have as much traction in your community. This distribution service is effective and affordable for our small organization. They also help to assist through the whole process.